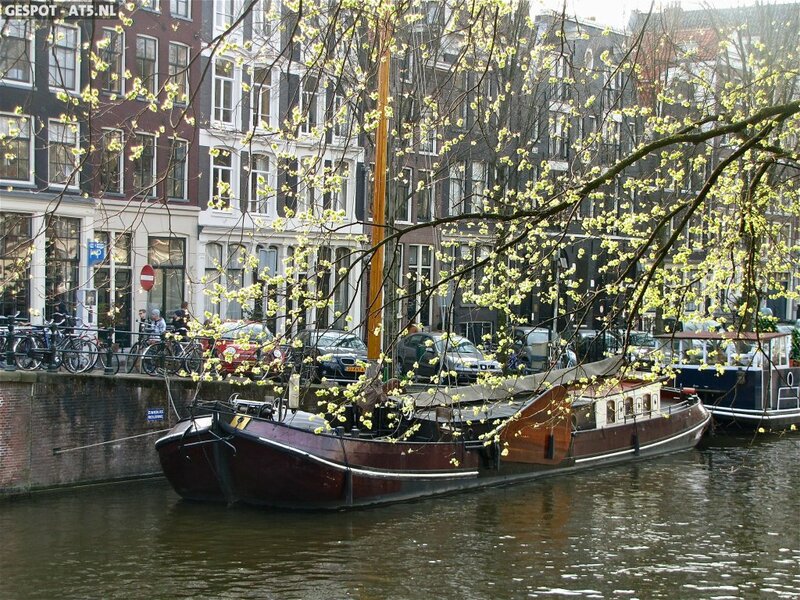 We don't have 'spring snow' in L.A. That's the annual Amsterdam springtime ritual when the Iepen (the elm trees) shake off their seeds, so beautifully described by John Green in The Fault in Our Stars. 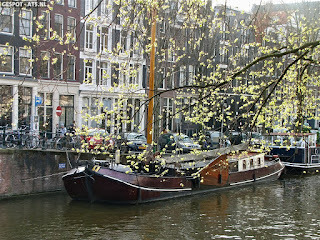 'There were elm trees everywhere along the canals, and these seeds were blowing out of them. But they didn't look like seeds. They looked for all the world like miniaturized rose petals drained of their color. These pale petals were gathering in the wind like flocking birds- thousands of them, like a spring snowstorm. The old man who'd given up his seat saw us noticing and said, in English, "Amsterdam's spring snow. 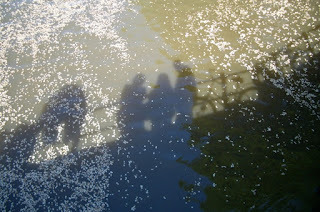 The iepen throw confetti to greet the spring." 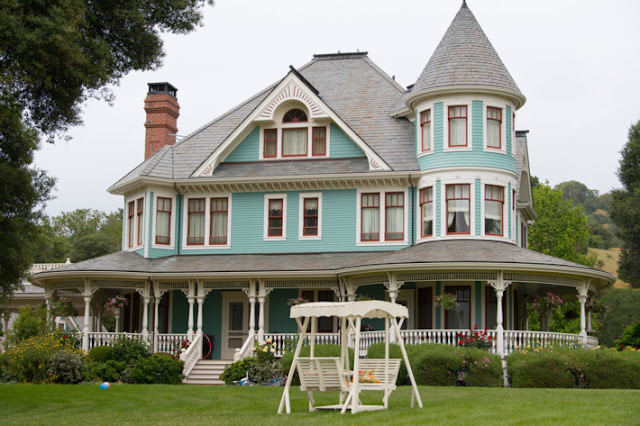 We don't have Iepen (elms) in L.A. - at least not in any number to create the slightest sort of flurry - but every year in May and June the Jacaranda's purple the sky with their shock of color. The short-lived blooms ends up strewn across lawns and sidewalks in bright little pick-me-up pops of purple. There's no festival but it's an annual brightening that brings me joy. 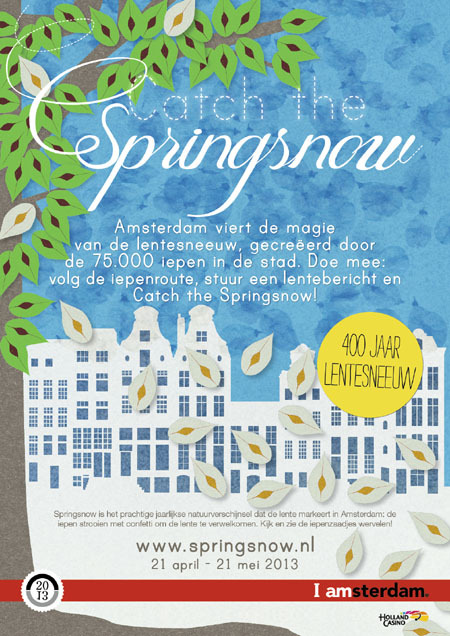 See the spring snow in Amsterdam at the Springsnow festival site here. 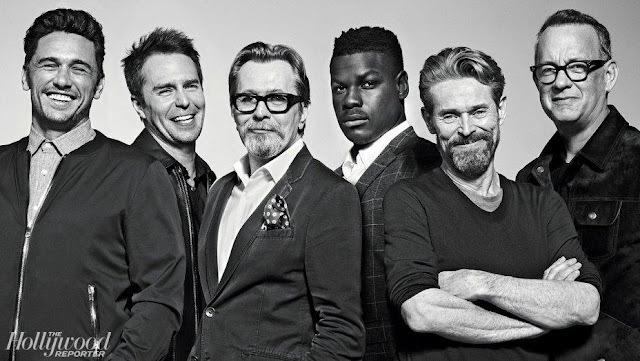 TFIOS director Josh Boone has indicated that he will be shooting in Amsterdam - what would a TFIOS movie be without a romantic dinner at the fictional canal-side restaurant Oranjee and a trip to Ann Frank's house? Since the production starts shooting in August - but the seeds are snowing now - are we doomed to faux CGI elm seeds scattering in the air? 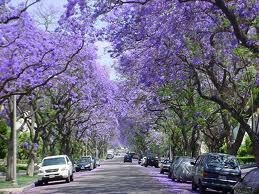 Hi, loved the post, and love Jacaranda trees! Though much like snow, leaves, or maybe Amsterdam's seeds too, the purple bulbs of the Jacaranda soon turn to dirty clumps on the edges of sidewalks. They're beautiful up in trees though! Hopefully they scatter seeds as set dressing, but we're probably doomed to a layer of computer-made white seeds floating by the screen. That's true; and they get tracked in on the bottom of your shoes. Which I then have to sweep off the floor. Why do we love Jacaranda trees so much?